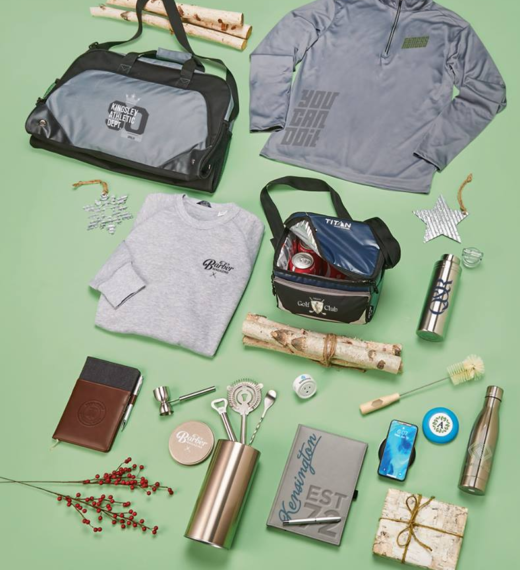 SWAG PROMO OFFERS A VARIETY OF Promotional Merchandise. Promotional products are proven to be one of the most effective media available. They’re tangible, useful and highly targeted to the audience they reach, delivering the highest rate of recall and return on investment. It is the only advertising medium capable of engaging all five senses. Adding your message to a tangible product turns an ordinary message into a marketing experience people can see, touch, hear, smell and even taste. Imagine your message being delivered by creating a personal experience people love with a product they can actually use. Leave a lasting impression. We serve all industries looking for high quality printed apparel and promotional products. If you can think it- we can make your branding ideas a reality.